Following a deal with the BBC that saw the inclusion of Doctor Who in the video game Lego Dimensions as well as get its own fantastic Lego playset, it looks like the Doctor may be taking a trip to the big screen... to join Emmet, Wyldstyle and friends for The Lego Movie 2. The follow-up to the wildly successful Lego Movie (which itself featured a plethora of cameos, from DC heroes to Star Wars) is being directed by Rob Schrab, who appeared on this week’s Harmontown Podcast—who teased that Warner Bros. and the team behind the movie are currently in talks with the BBC to negotiate an appearance by the Doctor in the sequel. 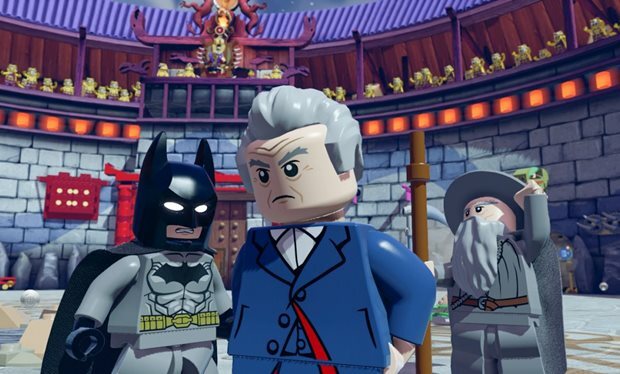 Schrab didn’t say much more about it—such as whether or not this would be a cameo akin to Han Solo and Chewbacca’s appearance in The Lego Movie, or a more prominent role similar to Batman’s presence in the film—but it makes sense given the Lego company’s recent collaboration with the BBC for other Doctor Who products.